A lot of EPF accounts are lying unclaimed after the death of an employee. Families have no idea how to claim for the EPF money and what is the process? Today I will share with you how your family will be able to withdraw the EPF account money in case something happens to you. How to claim EPF money after death of employee? Once a person is dead, the beneficiaries of the dead employee can proceed with the process of withdrawing the EPF money. The first right is of the nominee who was mentioned in the EPF by the account holder. Mostly it’s a father or mother as most of the people are unmarried when they start their careers and they mention one of the parents as nominee. 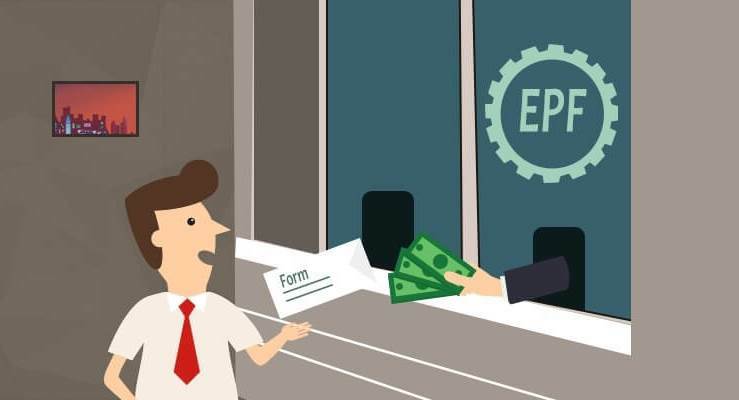 1 EPF Composite Form The first form is called Composite form for death cases, which is a single form to be filled to claim EPF, Insurance money and any pension amount. 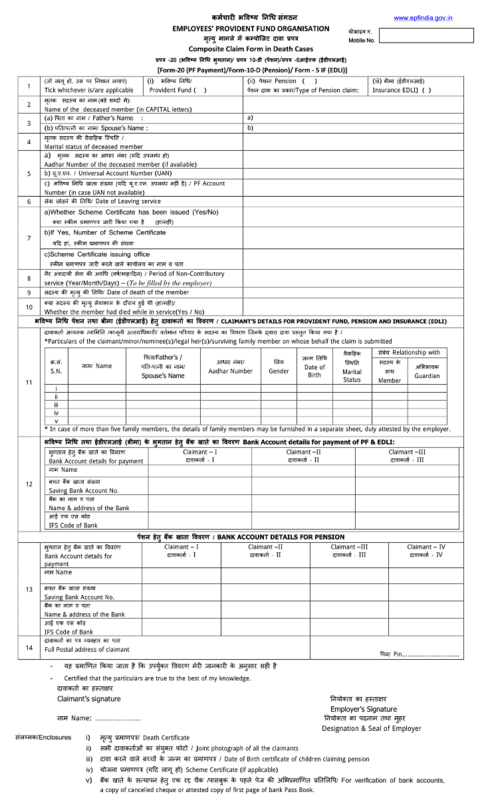 2 Death Certificate You need to provide the death certificate of the EPF account holder who had died. 4 Joint photograph of claimants One has to provide a joint photograph of all the claimants together. This is to make sure that there is no fraud in the name of claimants. 6 EPS Scheme certificate (only if applicable) This is a certificate which is a document which has all the details of who will get the pension etc after the death of a member . It’s issued by EPFO and this is applicable only when there is a pension part applicable. Here is a snapshot of how the EPF composite form in death cases looks like. This is the main document which one has to fill if they want to claim the EPF amount. You can also download the EPF Composite form for death cases here. I hope you get a clear idea about EPF claiming process now. If you have any query please reply in comment section. this is a very useful article for me, thanks for sharing, I am searching that info from several days. Thanks for your comment Irshad Ahemad .. Please keep sharing your views like this..
Sir you have written a lot of work keep helping people like this even further. Thanks for your comment Aasif Ali .. Please keep sharing your views like this.. I and ex wife living sepeartly by giving talak in2015.Now l am living another woman in relationship base. I want to delete the name of my Ex wife from Nomination form. Can i do and how? Thank you for the excellent info. Do you have similar info for PPF ? Excellent information Sir, as always. Thank you very much for sharing. Thanks for your comment Sanket .. Please keep sharing your views like this..
yes this is usefull, do you have aby info about what is the procedure for EFP when anyone changes the company. does he have to create new EPF account?